A shed has endless possibilities. 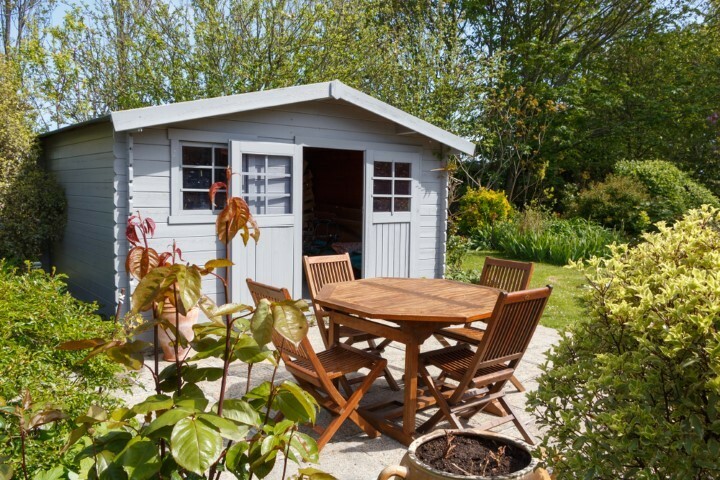 Though it is most often used as a storage space for things like garden tools, decorations, and spare supplies, if you just broaden your mind just a bit, a shed can be a space for almost anything with a little work. If you are tired of housing your seldom-used lawn equipment and pesky bugs and rodents in your shed, maybe you should consider using it to house guests instead. It might seem impossible to turn a shed into a place where friends and relatives would want to spend the night, here are some tips to help you get started. Check local regulations. Before you get started, check in with your municipality to see what structure you are allowed to have in your yard and what permits you need. Some may prohibit full-blown guest houses with water and electricity, so it is best to know beforehand. Wash and paint the shed. First, adding a fresh coat of paint to your shed goes a long way towards making it a more attractive place to stay for guests. It shouldn’t take too long and will pay off big. Install insulation. DIY experts will be able to add their own insulation to the shed, but others might have to hire help. It is an important step for making sure that your future guests will be comfortable while in the shed. Get electricity. Unless you have experience with running electricity to structures, you’ll probably need to hire a handyman to do it. You’ll need electricity so that your guests will be able to power lights, fans, and electronic devices during their stay. Put in a wall A/C unit. In Florida, forget about a shed guest room without A/C. You could install a fan as well, but the hot summer months will absolutely require an air conditioner at the least. Consider plumbing. If the main house is close by with an accessible bathroom, you might skip the hassle of trying to add a sink or a toilet in the shed. However, it’s always more convenient for the guests if they have their own private bathroom space. Make it cozy. For all you interior design lovers, it’s your time to shine. Add a soft rug or carpet to give the room a welcoming feel, and use lots of shelves so you don’t take up as much floor space. Picking out a brand-new shed to convert into a guest room? You’ve come to the right place! Superior Sheds manufactures and installs a variety of sheds that can stand up to the challenging Florida weather. Our sheds can take the heat, rain, and even hurricane-force winds, so you won’t have to worry about all the hard work you’ve done on your guest room going to waste. To learn more about our sheds, give us a call at 877-439-7433.